Checks in the Property Register reveal additional senior Bulgarian officials as clients of the construction company Arteks who have acquired apartments at below-market prices. This became clear after Bivol processed the records for all companies related to Plamen Miryanov and Vessela Miryanova – about 3,000 entries for real estate transactions. The new additions to the “ApartmentGate” scandal include the Deputy Minister of Energy Krassimir Parvanov, the former boss of the Communications Regulation Commission (CRC) Vesselin Bozhkov and Gergana Mutafova from the Supreme Judicial Council (SJC). Krassimir Parvanov holds so far the record for the cheapest purchased apartment. He has acquired on August 28, 2018, an apartment of 149.56 square meters plus two garages – 18.9 square meters and 31.17 square meters for BGN 240,312.47 or only EUR 616 per square meter. The properties are in a new building on “Tintyava” Street, where one of the apartments purchased by Vezhdi Rashidov, lawmaker and former Culture Minister from the ruling party Citizens for European Development of Bulgaria (GERB), is also located. Parvanov is a regular client of Arteks. As early as in 2009, he bought from the company a 150-square-meter apartment in the “Dianabath” district in Sofia plus a garage of 16.9 square meters for BGN 222,964 or EUR 684 per square meter. As Bivol wrote back in 2017, there is evidence that former Head of the National Electric Company (NEC), Krassimir Parvanov, is responsible for the loss of the arbitration case, which led Bulgaria to pay the Russians BGN 1.2 billion for the phantom “Belene” Nuclear Power Plant. Exceeding his powers, Parvanov signed the crucial Addendum 12 to the 2006 Agreement between NEC and Russian Atomstroyexport (ASE) for the construction of two Belene NPP units. His signature irreversibly committed the NEC to a specific investment in the plant. Later, the Russian side used precisely this text as a key argument for filing in Geneva the lost by Bulgaria arbitration case over its decision to end the project’s implementation. Instead of being prosecuted and convicted, the person responsible for the damage for BGN 1.2 billion was promoted. He received the post of Deputy Minister of Energy in the third government of Prime Minister and leader of GERB Boyko Borisov. Shortly before Krassimir Parvanov, on September 20, 2018, the former head of the CRC Vesselin Bozhkov acquired an apartment in the same building. His apartment and garage came at the price of EUR 682 per square meter. Bozhkov has been a long-time head of the CRC, from 2007 to 2017, surviving eight governments. 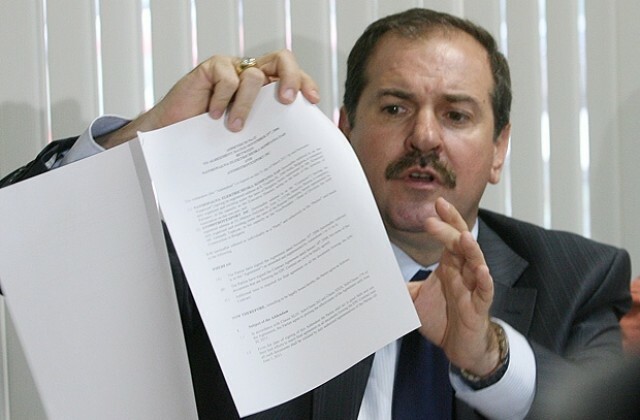 The CRC’s management during Bozhkov’s term was marked by numerous scandals such as the expulsion of strategic investors and the handing over the so-called TV multiplexes to companies affiliated with the former banker and majority shareholder of the now-collapsed Corporate Commercial Bank (KTB) Tsvetan Vassilev, who at that time was very close to controversial lawmaker and businessman Delyan Peevski. Another interesting name among the clients of Arteks is Gergana Mutafova, a former district prosecutor of the second-largest city of Plovdiv and a member of the SJC. She was elected in September 2017 from the parliamentary quota at the personal nomination of another “ApartmentGate” protagonist – Tsvetan Tsvetanov, Deputy Chairman of GERB, Head of the GERB Parliamentary Group and former Interior Minister. Mutafova bought on June 8, 2018, an apartment in the same building, where Tsetska Tsacheva had been shopping “off-plan”. However, it is obvious that the magistrate’s apartment was not bought under the same conditions because she paid EUR 1,117 per square meter, or nearly twice than what Tsetska Tsacheva has paid. The “ApartmentGate” scandal began last week with a publication of Free Europe and the Anti-Corruption Fund from Tuesday, March 19, which announced that Tsvetan Tsvetanov has acquired a luxury apartment with a private VIP elevator and a separate two-car garage at the price of EUR 630 per square meter. The upscale apartment has been swapped with Arteks against two other apartments owned by Tsvetanov and an additional payment of BGN 100,000 or a total BGN 387, 438.8. This price is four times lower than the market prices in this area. By the end of the week, it became known that in addition to Tsvetanov, Tsetska Tsacheva, Vezhdi Rashidov and the Deputy Minister of Sports Vanya Koleva had also bought cheap apartments from Arteks. Tsetska Tsacheva and Vanya Koleva submitted their resignations, which were accepted by Prime Minister Borisov. Tsvetanov commented earlier that everything with his deal was “legal” and left on an official visit to the United States, while Borisov threatened to make a “tough decision” upon his return. Update: On Tuesday, March 26, 2019, Krassimir Parvanov resigned from the post of Deputy Minister of Energy.